The PE and sport premium was launched to help primary schools improve the quality of the PE and sport activities they offer their pupils. The funding goes directly to primary school headteachers so that they can decide how best to use it to provide PE and sporting activities for pupils. 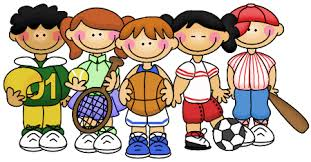 run sports activities with other schoolsSee the link below for details of how Engayne has used the Sports Premium and the impact that the funding has had on PE and sporting opportunities for our pupils.